If I stick to the script for Porsche GT3 reviews it should be hard to find anything negative to say about it. But let’s try! I’m going to put it out there and say the much-hyped stickshift option for the isn’t the right transmission for this car. Indulge me. 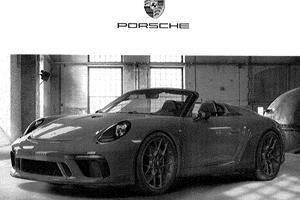 When the 991 GT3 launched as PDK-only many were left cold. But Porsche fronted it out by saying it was appropriate to the motorsport DNA and symbolic of the ‘chase every tenth’ mentality of the department that built it. Trouble is not everyone who buys a GT3 is chasing every tenth. And a number of them wanted the option to change gear themselves. The R answered the call. 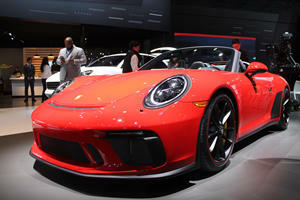 But the hype immediately priced it out of the market and the age of the manual GT3 seemed over. I was among those protesting. I love the fact older, stick-only GT3s are difficult to drive. It’s a poser filter, if you will. But then I drove the PDK GT3 and had to admit, yes, the transmission really suited the car. And in a world of paddleshifted race cars it would be a bit odd for a Porsche Motorsport product to come with an H-pattern and a clutch pedal. But with this second-gen, 500-hp, 4.0-liter GT3 that’s exactly what we have. A . With a stickshift. Things move fast and climbing aboard a Euro-spec GT3 with its Clubsport package to find a manual gearbox just seems a bit wrong. 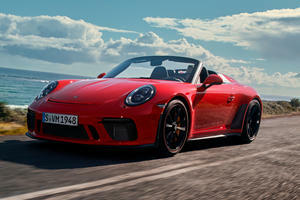 Porsche UK seemingly agreed and wanted to change its press car order for a . But even they would have for doing so. Manual with the wing it was then. And the slightly odd combination that results in. Adjust the mirrors in such a way you can’t see it and it feels less mismatched. Because as a driving machine this is one . 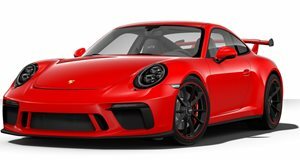 The six-speed transmission developed for the R and hence offered exclusively on the GT3 delivers on the demand for a stick option too, the two thirds of American customers who’ve opted for it rewarded with one of the great manual transmissions. This may be the . If that’s the case it’s some last hurrah for the atmospheric Porsche boxer six. With the extra capacity there are no flat spots. It’ll pull hard from 2,000 rpm in a way no 911 has before. And from here to 9,000 rpm is your playground. The high-pitched shriek of the new mechanical valvetrain in the final 1,000 rpm is just insane too, this final lunge for the ‘9’ on the rev counter unleashing fury not seen in any 991 before, R included. That the upshift requires more than just a tap of a paddle just makes it so much more exciting and immersive too, the gearing perfectly placed to drop you right back into the mayhem at the exciting end of the powerband. OK, the latter has a much wider operating range, negates the disadvantages of a mechanical diff and is fully integrated into the stability control and other systems. But it’s another layer of electronic filtration between input at the throttle pedal and output at the tires. Better still you save a little over 30 pounds from a crucial area of the car by ditching the PDK and its additional hardware, the mechanical losses of driving the hydraulic system to operate it. It’s just a little faster at the top end as a result. These are tiny, tiny points. But the kind of things that matter in a car as sharp as this. The PDK GT3 will always be faster against the clock. The more so for the fact so few manufacturers still offer this combination and this may well be the last time we have both in a 911. For all that, I’m conflicted about the combination of a cage, aero, Cup 2s and a manual in this day and age, much as I was when I drove the . If you’re going to go full ‘because racecar’ these days I think paddles need to be part of the package, that or an aero delete option as Aston Martin offered in that instance. In the GT3 there’s a similar solution. And that’s the Touring package. Same car. No wing. All the frenzied pace but with a strong visual statement you’re in it for the sensations and experience as much as the lap time.